Before my interview with Gyi, I downloaded AttorneySync’s Guide To WordPress Blogs For Lawyers. I figured, I do this stuff for a living but may as well check out what my competition has to say! Let me say this, if you are deciding what platform to use for your firm’s site or you’ve recently started to use WordPress, I’d recommend downloading it for yourself. AttorneySync’s guide offers a brief explanation of how WordPress serves as a content management system. It explains WordPress’s roles as a blogging tool and platform. It also outlines the basic structure of how WordPress organizes its sites by default. It explains the hierarchy and defines the terminology that WordPress uses. Finally, the guide provides its own list of recommended resources, including one of my faves: Lorelle on WordPress. A legal analogy: It’s almost like an Emanuel’s outline for the WordPress Codex. RecruiterEsq: So, I see you went to the University of Michigan. I also went there. Go Blue! How did you decide to go to law school? Gyi Tsakalakis: Well, I had studied Computer Science at U of M for 3 years when I decided that I didn’t want to be a computer programmer. I decided to study something “more practical” so I majored in Philosophy. To my surprise, there wasn’t a high demand for philosophers. I have always been interested in politics and history, so law school seemed like a natural fit. After law school, you worked for Turner & Turner, P.C. How did you get that job? Did you work there during the summer? I owe a great deal of gratitude, and my first legal job, to Michigan attorney Matt Turner. He was my football coach in High School and a mentor to me. I worked there as a clerk through law school, and upgraded to attorney upon graduation from law school. What type of cases did you handle? I worked on several civil matters but primarily handled injury and malpractice cases. You started AttorneySync shortly after you left the practice. Was this an idea that had been brewing for some time? I had always felt a compulsion to “go out on my own”. Whether it was going to be with my own law firm or business, I always felt a strong entrepreneurial urge. I was approached by a close friend from college, Jeff Berman, about starting “something”. We actually brainstormed several ideas, including operating a franchise before we settled on our initial concept of AttorneySync. How did you finally decide to start the business and what steps did you have to take? Basically, my desire to start my own business began to consume me to the point of obsession. We spent a lot of time (about a year) planning the business. From positioning, to core values, to organization, to back end systems, we laid out a complete blueprint about how our business would look and operate. We formed our LLC and were off and running. What exactly are the services you offer to law firms? For example, do you teach them only about their websites or do you teach them about Twitter or LinkedIn? 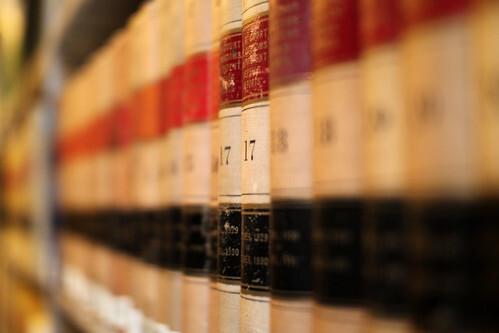 We provide law firms a comprehensive approach to web strategy customized to their goals. From building a website to social media (including Twitter and LinkedIn) to advanced search marketing techniques, we manage a law firm’s entire web presence. We also provide consulting services for those legal professionals that want to learn how to perform web strategies for themselves. What are some of the objections you hear from law firms about why they don’t want to invest in your services and what are your responses to those rejections? I think there is a genuine skepticism of search engine optimization, social media, and more generally, “web consulting services”. Unfortunately, much of the industry’s reputation is deserved. We focus our efforts on educating legal professionals about what we do and how these strategies work to increase business. Our mantras are transparency and accountability. By showing legal professionals what we do, measuring tangible results, and allowing them to decide whether they are getting a return on investment, we establish a professional relationship built on trust. As an expert in the industry of law firm online presence, what are some firm websites that impress you? Generally speaking, I am most impressed with law firm websites that position the attorneys at the firm as experts in their field and speak to their audience in terms of solving the problems that their users are facing. Too many law firm websites are “attorney-centric”. They list their professional achievements and credentials without communicating to their readers how they can help them. When a firm wants to work on its web presence, which decision-makers should be involved with the process? I believe that each legal professional should have the opportunity to make an informed decision about how they are portrayed online. After all, an attorney’s professional reputation is their most valuable asset. In addition to the attorneys themselves, marketing agents and technical development staff should be included. How did you learn about SEO and the web, in general? Or, the challenges of law firm marketing? My computer background at U of M was very helpful in getting started. The hands-on experiences of working at a law firm were also very instructive. On the other hand, there is a lot of information available on the web. Unfortunately, a lot of it is just wrong. The key is to finding reliable sources of information. Here is a great list of 100 SEO/SEM Blogs. My personal favorites are SEOmoz.com and searchengineland.com. I download guides from your site all of the time. How does the freemium model work in your business? We have found the freemium model to be one of the most effective ways to build new professional relationships. Offering free educational materials is a win-win. The publisher of freemium content is able to demonstrate their knowledge and build trust with their readers. Readers of freemium content get access to free educational resources. Like other marketing strategies, using this model effectively comes down to implementation and the quality of the information you give away. Finding the right balance of how much to give away for free is the key. What can the legal industry learn from this type of business model/alternative pricing model? Law firms that provide free educational resources are having great success with this model. From blogging to offering free downloadable legal guides, the legal industry can greatly benefit from this type of offering. Again, the key is for legal professionals to figure out what to give away for free. Historically, the legal industry has “held its knowledge close to the vest”. In the era of the web, taking such an approach is much less effective. For attorneys who want to become entrepreneurs, can you tell us a few lessons you learned from your mistakes? Being an entrepreneur is a complete lifestyle change. It is not a job, it’s a way of life. Be prepared to pour everything you have into it. Once you have decided that it’s right for you, you will have to take a leap of faith. Unless you get really lucky, you will likely have to make uncomfortable sacrifices. Set measurable goals. Don’t make decisions out of fear. Read business books such as these. My pleasure, thank you for the opportunity to share my thoughts. Gyi Tsakalakis serves as Executive Director at AttorneySync, an organization dedicated to helping law firms with their web strategies. Gyi can be reached on Twitter or LinkedIn.